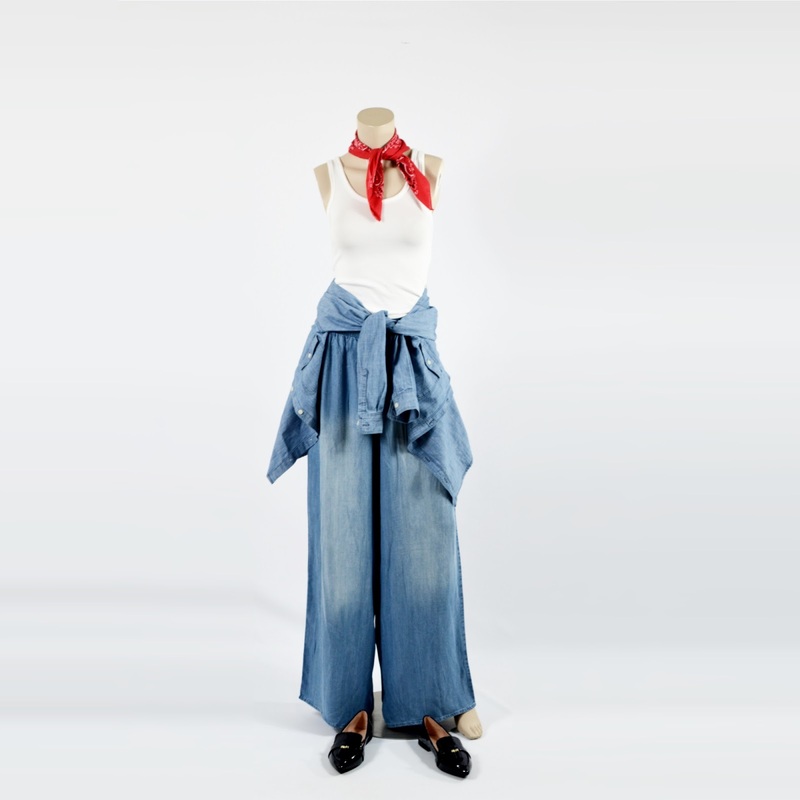 * Update: this post was featured in IFB's weekly Links à la Mode list - yay! Anti.Muse Fashionriot: What Would Your Muse be? Lucy Van Dean: Is It Summer Already? I love chambray palazzo pants! I bought them in blue and gray last year, but now they are too big. I may have to replace them with a smaller size because they are so comfortable and so darn cute. I love the way you styled them with the basic white tank and a bandanna! So cute. These almost remind me of the Jenco jeans that we used to wear in middle school. I'm definitely more of a boot cut kind of girl. I bought one from a random shopping spree from Japan. I havent worn it yet b/c I really did not know how to style them. But this week I am invited to an exhibition where I think it will be just perfect... I plan to wear it with light green lose fitted shirt and a multi coloured scarf. 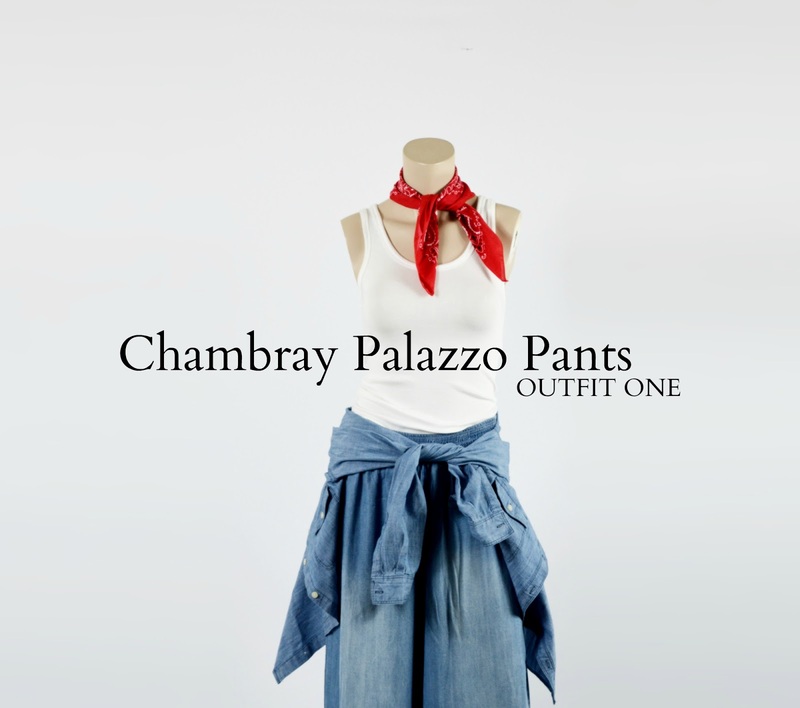 I love the Chambray Palazzo Pants for summer. It's so hot here in Texas that regular jeans just can't work but something light like this would be perfect for evenings! 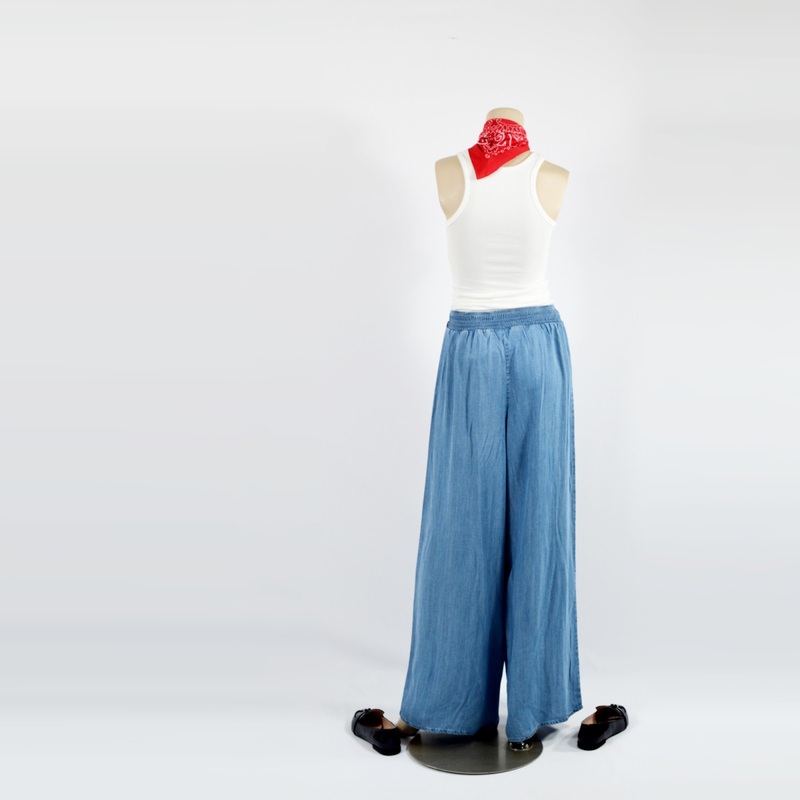 These Palazzo Pants look sooo comfy. I might have to invest in them. Thanks for sharing. The third pair in the middle with the ribbon sash need to arrive in my closet...soon!!! I totally would rock those pants? Taking me back to the Charlie Angels days! Jeans and a white top is perfection and so classic. Love the bandana! This would be such a cute outfit for Memorial Day Weekend or the 4th of July! 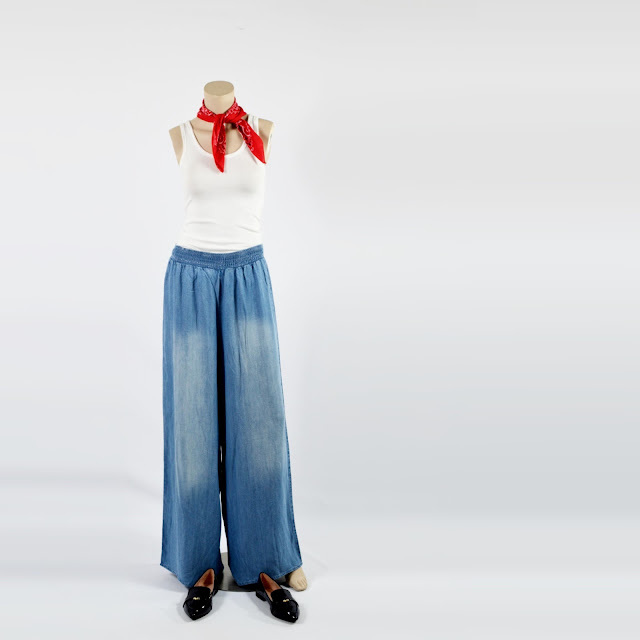 I need to buy myself a pair of palazzo pants! Love the ease of this outfit, great for this mom-on-the-go!